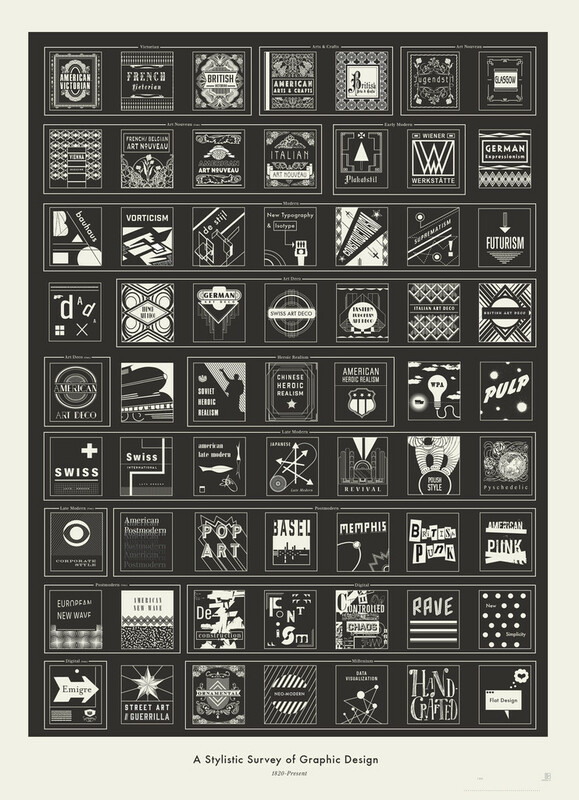 The folks at Brooklyn-based Pop Chart Lab have done it again. Their proficiency for infographical treatments is astounding, no matter the subject matter. Whether it be a “Visual Compendium of Guitars” or “Cartography of Kitchenware” or any number of alcohol-related compositions (think “The Marvelous Mixology of Martinis”, “Fantastical Fictive Beers”, “Wineries of Napa”, etc. ), the work of Pop Chart Lab never disappoints. It’s like a master class in infographics. And they have finally given such treatment to the very core of their passion: the history of graphic design. 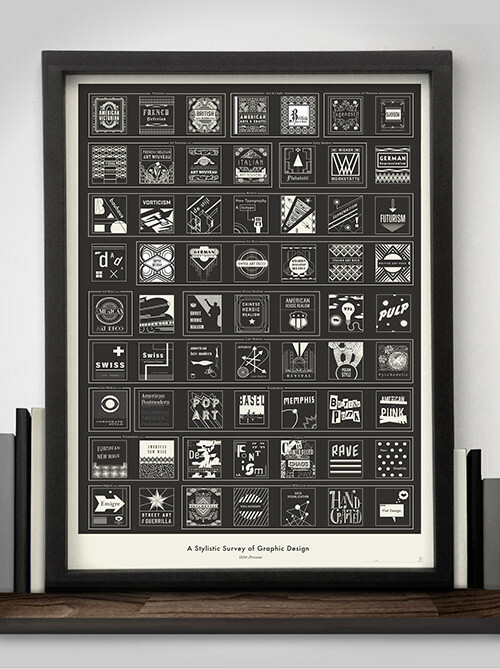 This 18” x 24” hand-illustrated diagram (available for preorder at a limited-time discounted price here, to start shipping tomorrow) is not only a decorative piece, but also an invaluable go-to quick visual reference of the most important eras in graphic design. Pop Chart Lab’s team of researchers and designers did a fantastic job of capturing the essence of each style in such a compact, efficient manner. This will be hanging on our walls real soon.